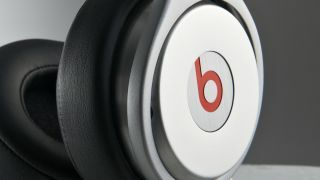 The new Beats streaming service has been some time coming, but Beats Electronics president and chief operating officer Luke Wood has told us that the service will launch "in the next few months" and will bring a competitive library selection with it. But will the service have the record label deals to back it? Considering Wood's history as a music industry exec with the likes of TV on the Radio in his portfolio of signings, this part was never going to be difficult. "We have a lot of experience in that area," he said in an interview with TechRadar. "The library will be very comparable to what exists now with Napster in the States, Spotify and Deezer." Perhaps more interesting are the features the headphone manufacturer's service will bring that others such as Spotify currently don't. According to Wood, the problem to be solved lies in curation. "You've got to address discovery," he said. "If you don't know what you want, you're stuck." Wood went on to explain further: "We think that right now there's tremendous opportunity for curation and generally I'm a relatively digtially literate person, I spend my life on the internet. And I find existing music services now are no different to the ones I had going back to the original Napster or Limewire." "The algorithmic approach, a la Pandora, really doesn't work," he said. "You've got to move more towards a playlist approach and really tell people great stories through playlists." Beats will use technology from streaming service MOG which the company bought last year, while Trent Reznor will take the role of CCO. We also know that Daisy will come to iOS, Android, and Windows Phone 8 when it finally arrives.